The Western Morning news Business Awards 2017 have announced their shortlist and Partech have made it as finalists in the ‘Exporter Of The Year’ category. 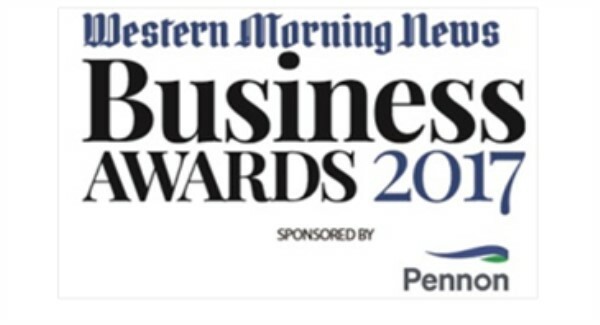 The Western Morning News Business Awards rightly puts South West businesses in the limelight. Every year it discovers and celebrates new talent and shares the success of established South West firms and business people. The ‘Exporter Of The Year’ award will recognise companies that have achieved notable success in international sales, with Brexit on the horizon, overseas growth is more important than ever before. With Partech’s export sales increasing year on year – we are delighted to have been shortlisted for this category. The judging panel is chaired by Bill Martin editor of the Western Morning News and includes Kim Conchie, chief executive of Cornwall Chamber of Commerce; Sarah Heald, director of corporate affairs and investor relations at Pennon Group; Julia Green, partner at Browne Jacobson Exeter; Hannah Finch, business editor at the Western Morning News and George Cowcher, chief executive of Devon Chamber of Commerce. Pennon Group is the title sponsor for the awards.